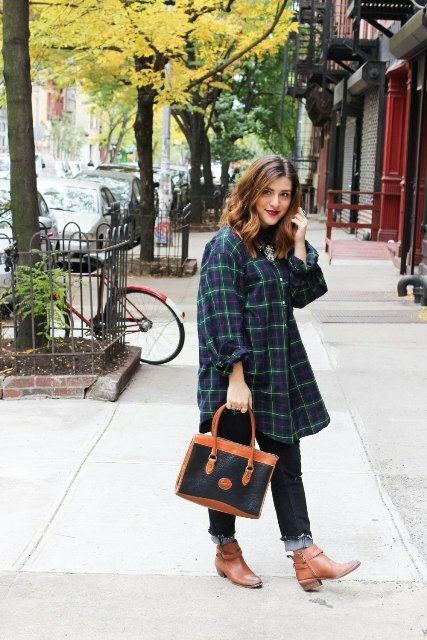 A shirtdress is a perfect piece of clothes for everyone! 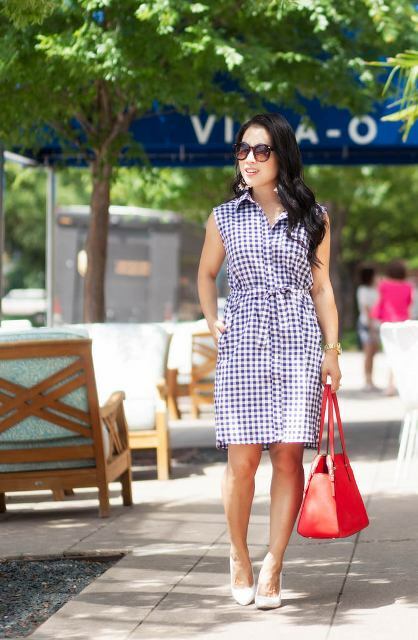 No matter what type of figure you have and what style you prefer, a shirtdress will be always a good idea. 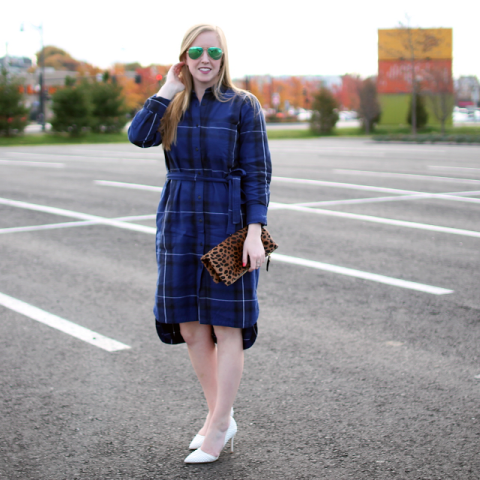 So today I offer you to consider outfits with checked (or gingham, or plaid) dresses. 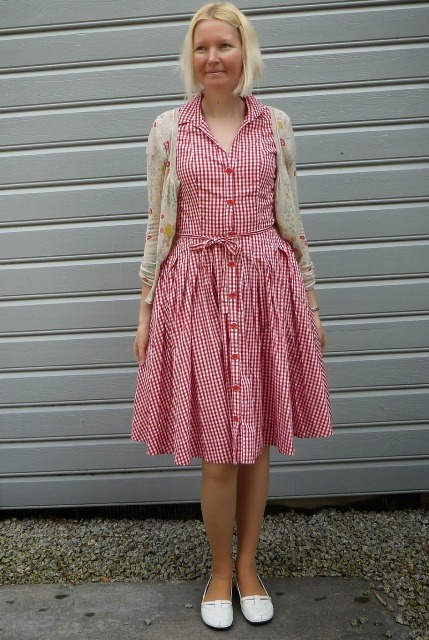 As usual you have a huge choice of various ones, so you can pick up a loose shirtdress and combine them with sneakers to create a sporty chic look or try to find a sleeveless gingham shirtdress and mix it with a belt, pumps and a classic small bag for casual or cocktail party outfits. Now you should scroll down to see all ideas. 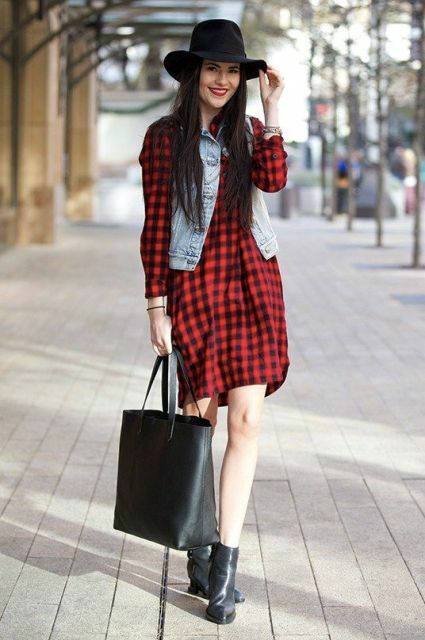 If you want to create an adorable and comfy casual outfit, then you should combine a white and red checked sleeveless shirtdress with a denim vest, beige flats and a purple leather bag. Or you can take a knee-length dress and pair it with black and white slip on shoes and a brown chain strap bag.Wanna create a flirty and feminine look? Then take a belted dress and mix it with a beige wide brim hat and gray suede fringe ankle boots. 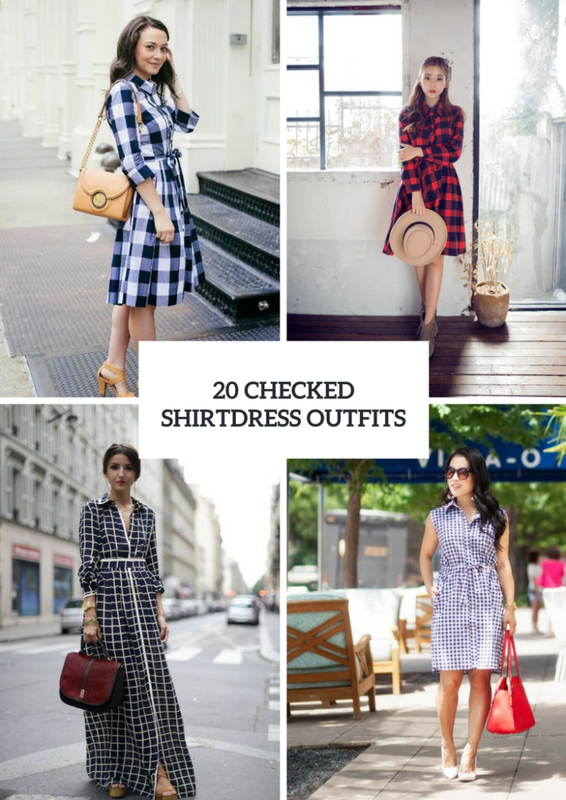 Don’t forget about the trend of wearing a shirtdress over pants, so you can repeat an outfit with a green and navy blue shirtdress, cuffed jeans, brown boots and a black and brown tote. 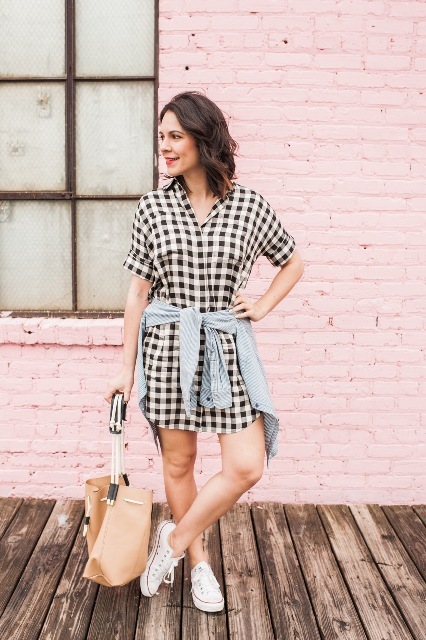 If you have a maxi shirtdress, then add a silver belt, sunglasses and white sneakers to it, and you’ll get a super stylish outfit for every day. It’s very easy to make an elegant and chic outfit with a shirtdress, just take a red and navy blue dress with an asymmetrical hem and combine it with a gray blazer, silver and marsala pumps and a silver mini bag. 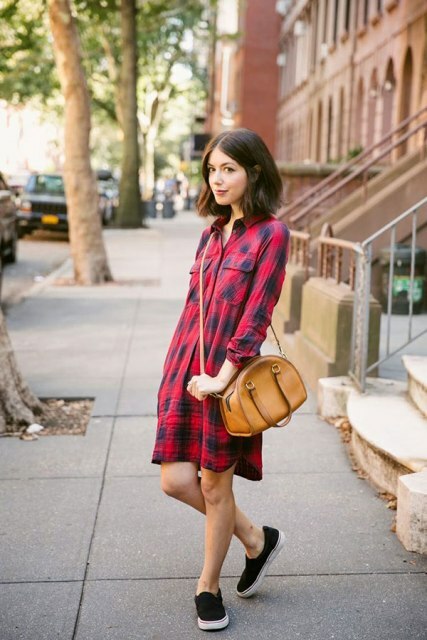 Or you can find a gorgeous maxi checked dress with long sleeves and pair it with a suede bag and platform sandals.